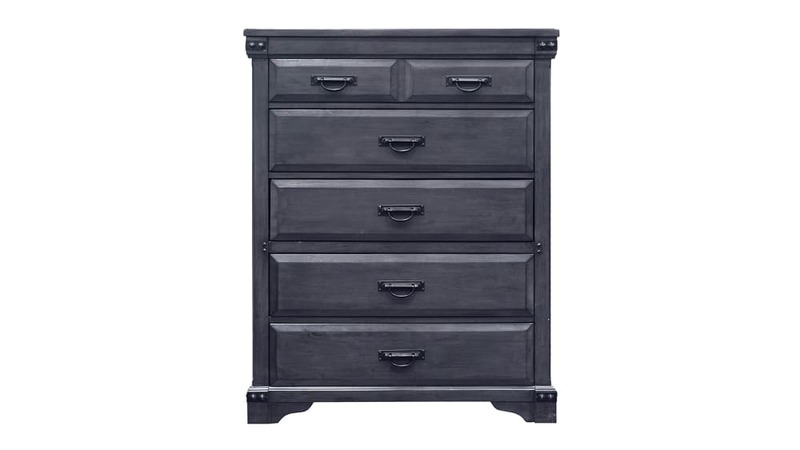 Like a breath of fresh air, this chest will add a soft elegance to your home. The brushed gray wood lends itself to an easy contemporary style, while the design will elevate your room and make it special. Find happiness when you create an oasis of comfort and quaint casual splendor in your bedroom with the Larchmont Collection. High-quality iron drawer pulls that enhance the overall aesthetic. 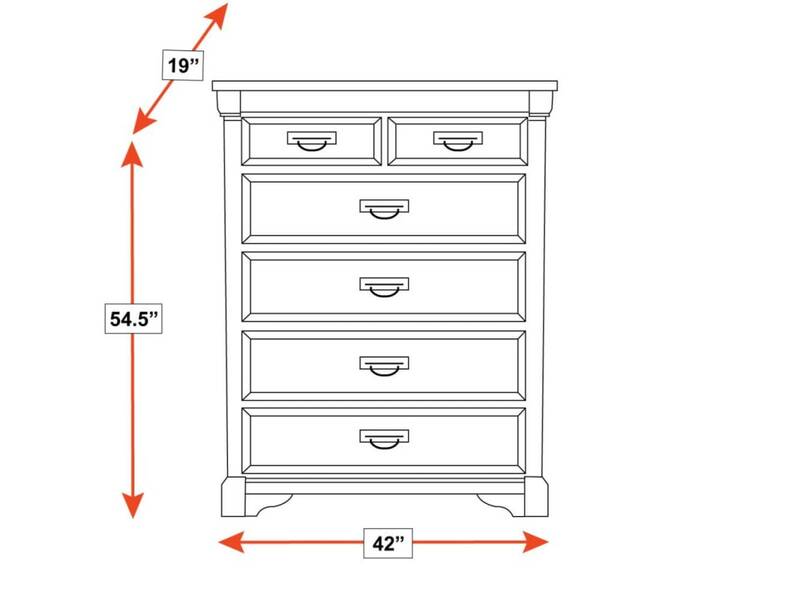 The top drawers are lined with velvet, to bring an elegant touch to your bedroom. With multiple drawers, you will have plenty of space. The rich, stormy gray finish will look beautiful in your home for years to come .